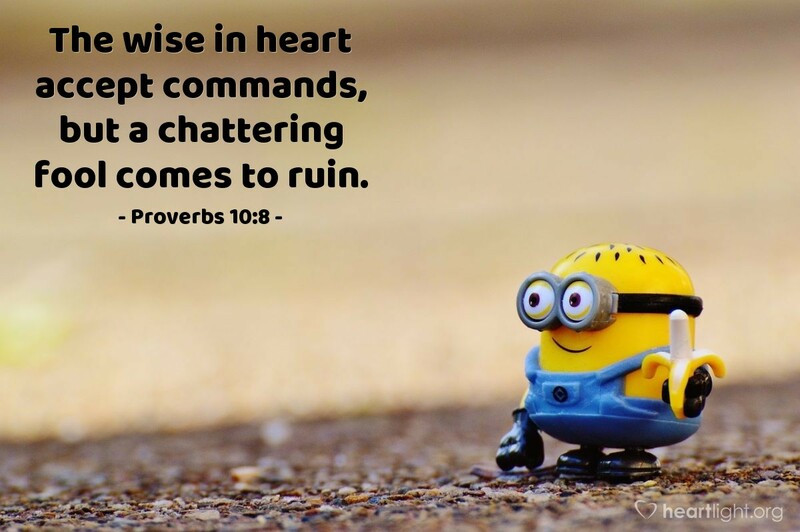 When you hear a command from Scripture, do you wince? How about rationalize? How about transferring the responsibility to someone else? Or, do you obey to honor the Father? A wise heart accepts the commands of God as a blessing and a safeguard. A fool finds a way around the personal application of the command. Let's ask ourselves honesty, "Which of the two am I?" Precious and Gracious God, my Heavenly Father, thank you for loving me enough to show me your truth and your commands. Please use my obedience to form your character in me and to make my example to be a good influence over those you have placed in my life. In Jesus' name I pray. Amen.